Located in front of Claude Monet’s house and garden you just have to cross the street to take seat at one of our tables. Motorway (A13), exit n°16, follow signs to Vernon, drive through the town and cross the river. Motorway (A15) to Pontoise, continue on the D14 until Magny-en-Vexin then initially follow directions to Vernonand then Giverny cutting through the Vexin parc. By train from Paris: Take the « Paris/Rouen-Le Havre » line from Saint Lazare Railway Station to Vernon-Giverny ! 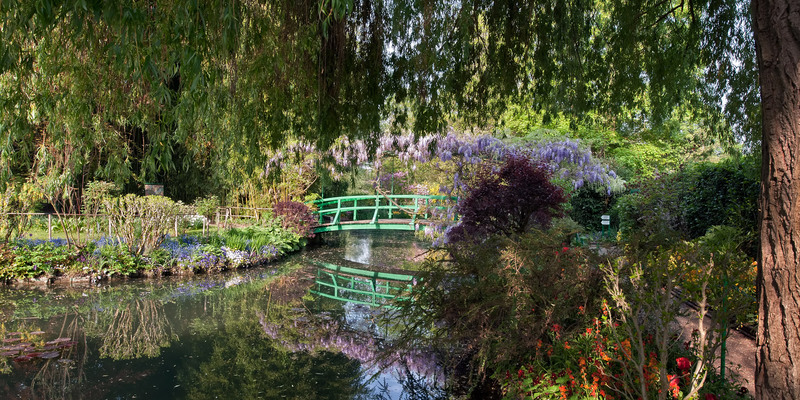 You can also find a marked itinerary for pedestrians and bikes between the train station and Giverny village. Count 40 minutes on foot, less by bike.